In our last posting, we were still uncertain about our visa status in Italy because we had been asked for a new form proving that we are officially residents of Carloforte. 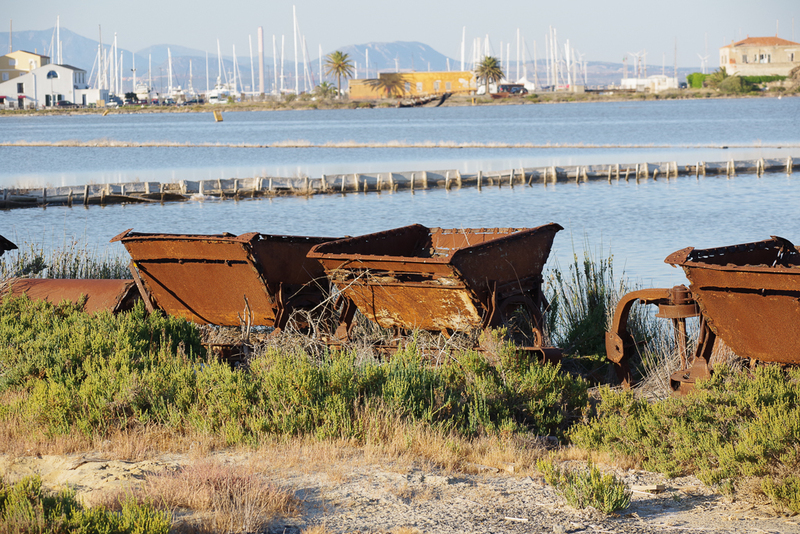 As far as Carloforte is concerned, if you live on a boat in the marina you are not a “resident.” So it was impossible for us to provide the required form. That has all been resolved thanks to a friend who “knows a guy” and made a telephone call on our behalf and explained our situation. 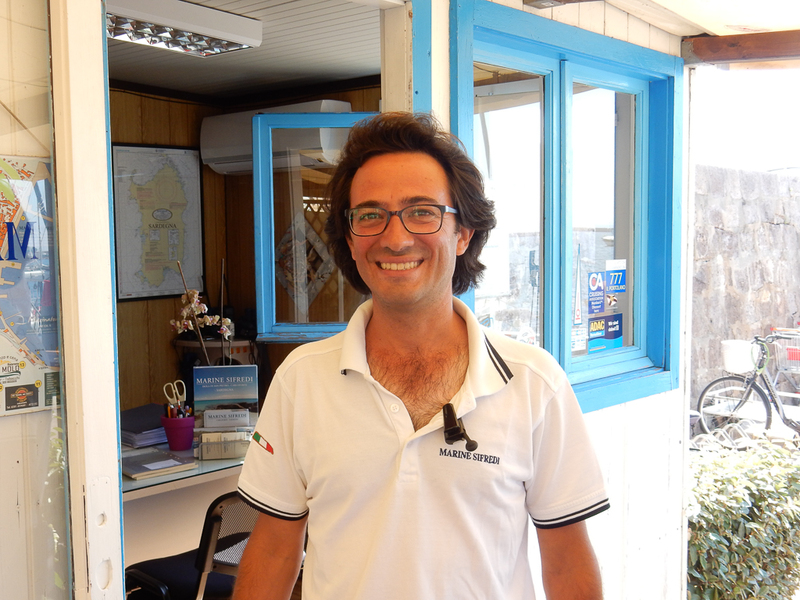 After 3 weeks we received a message from the Questura (immigration police) asking us to return to Cagliari. There we were presented with cards granting us two years of elective residence in Italy. 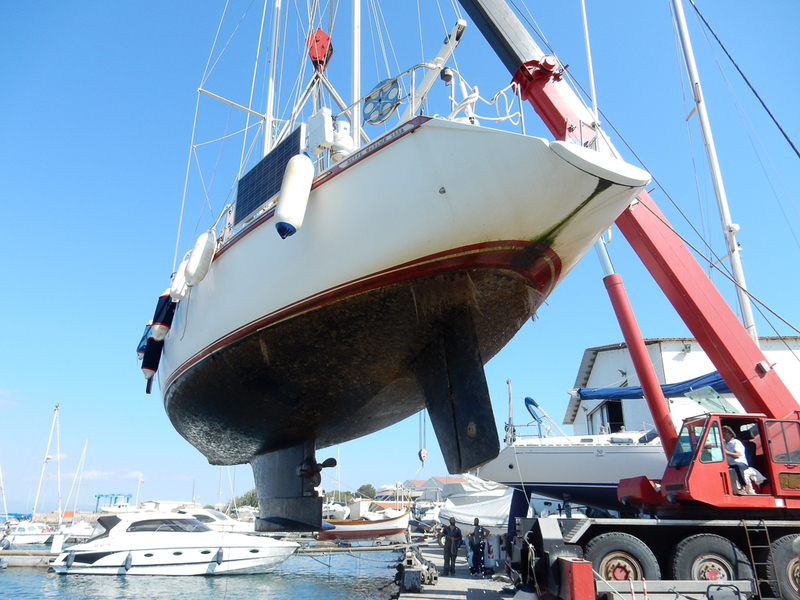 Also, in our last blog posting, we had been waiting for Sabbatical III to get hauled and have her bottom painted. 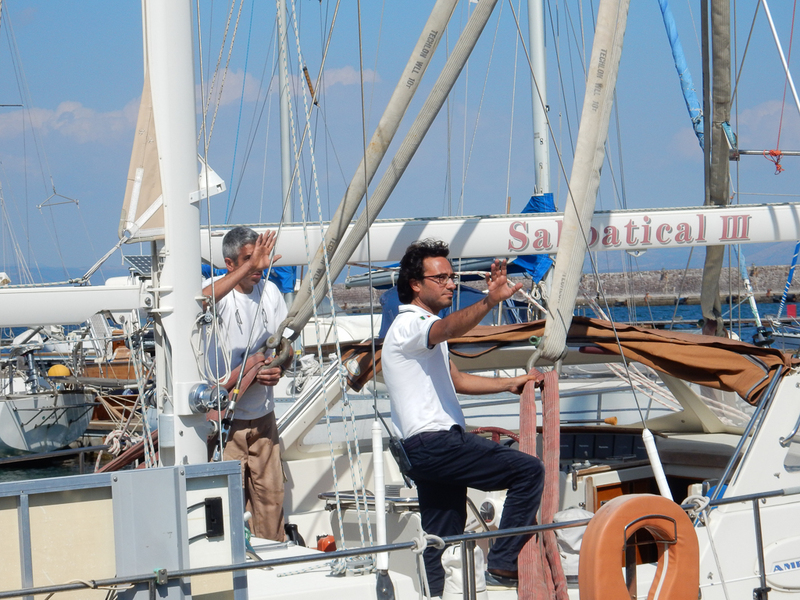 Our time finally arrived and on Thursday, May 25 we made our way to the Sifredi boatyard to get hauled. 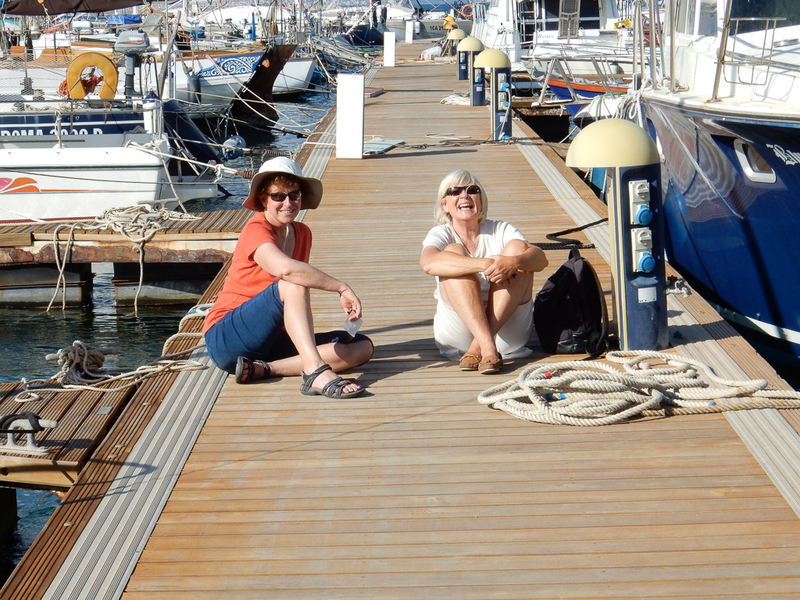 We knew exactly what was required of us for the haul because the week before we were on hand to watch Serafine, an identical boat to ours (an Amel Super Maramu) get hauled. There is very little water depth and room in the place of our haul. Giuseppe Sifredi had me steer a slow zig-zag course in the unmarked “channel” and turn sideways with a very strong dose of the bowthruster, with a dock at my stern and a power boat just a few feet off my bow. The depth sounder showed that we were touching bottom. The backstay of the main mast was slacked and the crane leaned over and Giuseppe and his assistants attached four large shackles to the chain plates of Sabbatical III. 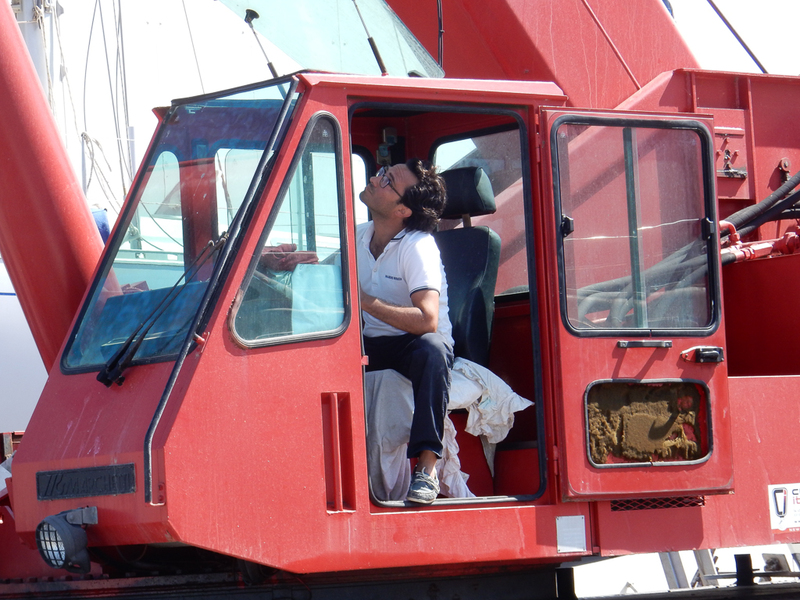 Boatyard workers held on with lines to keep the boat from swaying uncontrollably in the wind as Aldo Sifredi, Guiseppe’s father, slowly lifted Sabbatical III out of the water with a 90 metric ton crane and then turned and squeezed her into a small space next to the work shed. The bottom was covered in marine growth as was the prop. Plus there was a gash in the keel from my unfortunate interaction with an underwater and unmarked rock off of Lavezzi Island, Corsica last fall. 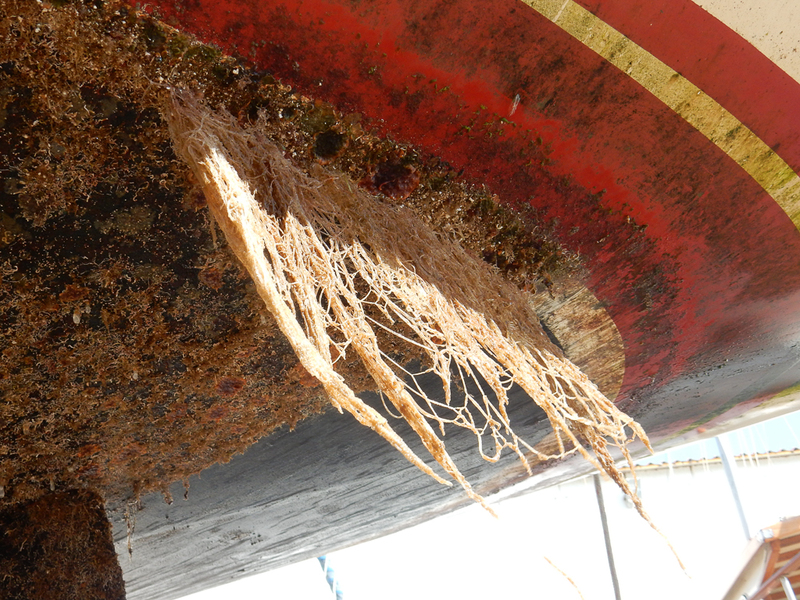 The boatyard workers went right to work scraping the bottom and then power washing. 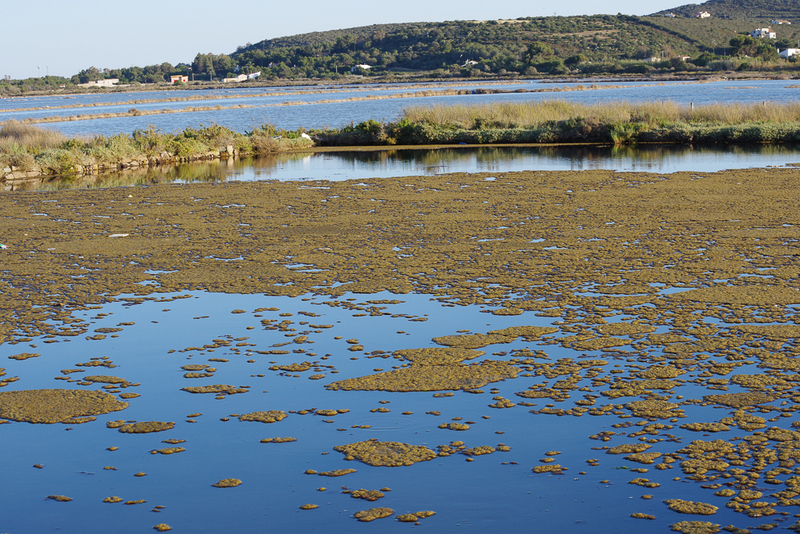 Laura and I were able to sleep on the boat which had great views towards both the straits separating Carloforte from Sardinia (looking forward) and the salt pond (saline) looking aft. There is also a nice bathroom with shower in the yard so we were reasonably comfortable. 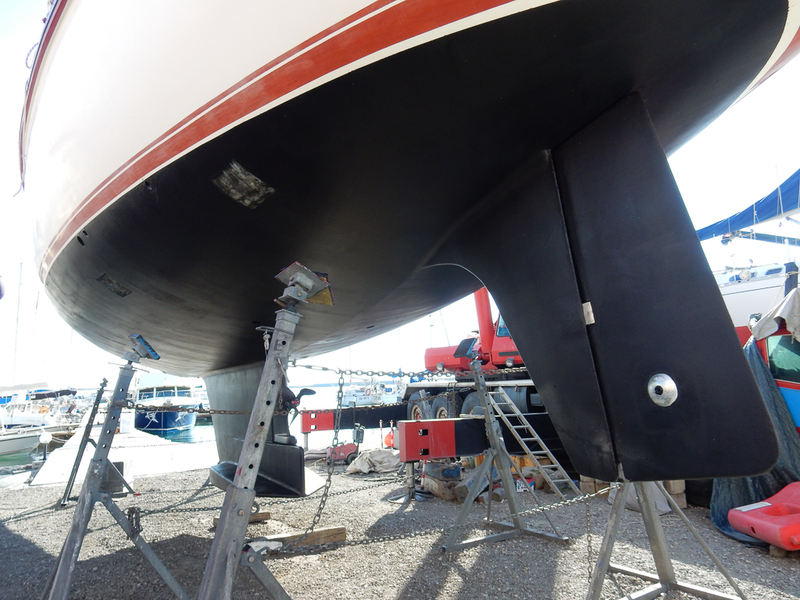 The next day they started painting the hull with the Joton Nonstop ablative paint that I had ordered. I had a worrisome repair task that I had just became aware of the week before. 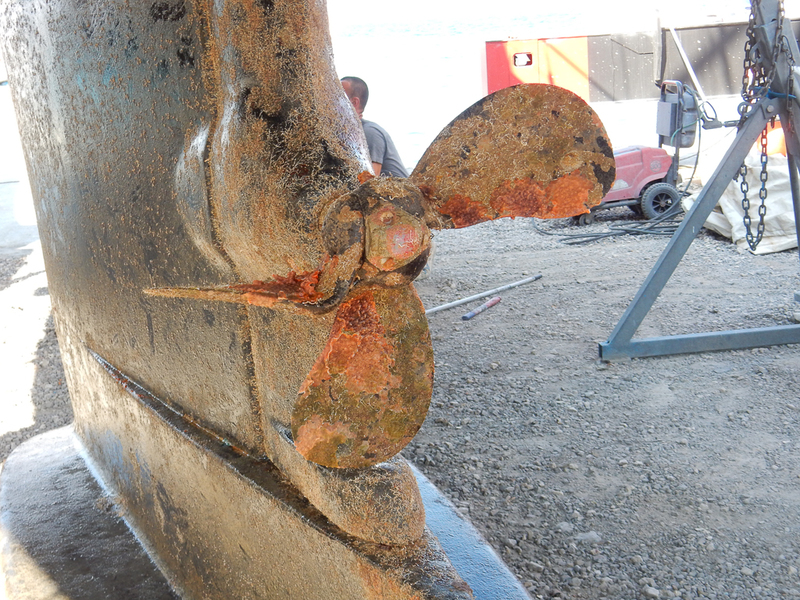 I had checked the rudder stock and quadrant as I always do every Spring but this time I found evidence that sea water was coming up the rudder packing into the aft section of the boat and had made the steel quadrant rusty. The quadrant turns the rudder in response to turning the wheel. The rudder compartment was dry when I looked but water must have been pushed up past the rudder packing while sailing in large seas in the previous season. Hajo (Hans Joachim) of Serafine came over to help and together we set to work on the rudder. We needed to get the quadrant off of the rudder but it was rusted in place. We were able to borrow a mechanical puller and even with generous applications of PBBlaster, it took a lot of force to finally get the quadrant off of the rudder post. After wire brushing and painting, it looks like new. Instead of replacing the packing, we just tightened the packing nut that compresses it. So far no more water has entered, even after we had an extremely rough sail 10 days ago. (More on that in a subsequent blog post). 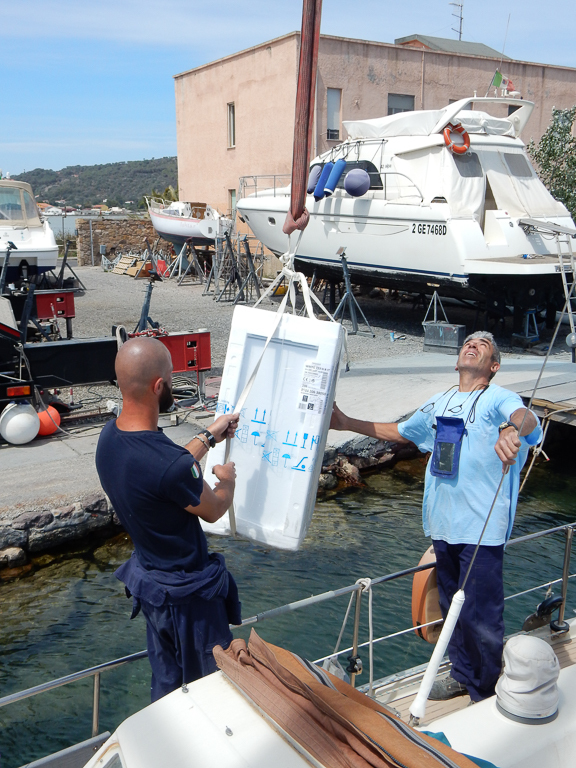 Besides the usual maintenance tasks that need to be done when the boat is out of the water, we also needed to get our old washing machine off of the boat and the new one we had purchased (from Amazon Italy) on the boat. This is not that easy a task. 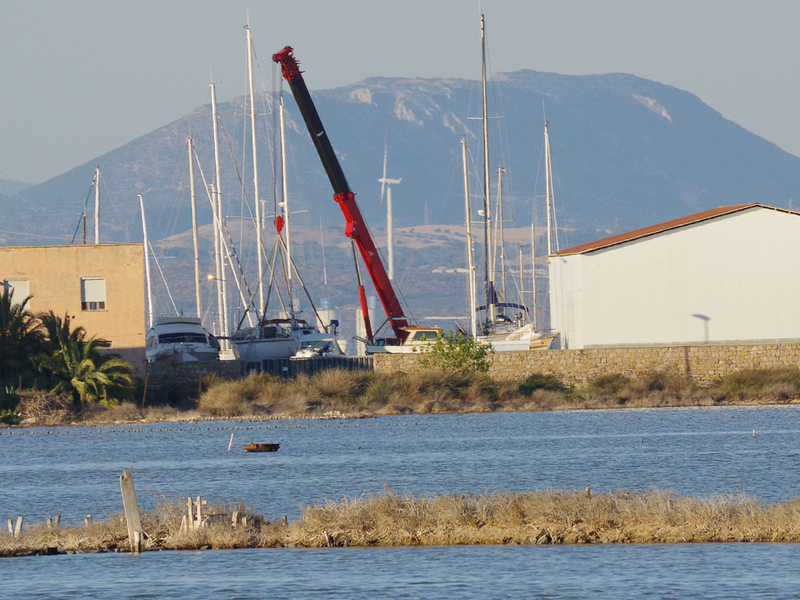 Fortunately, once we were back in the water on Tuesday, May 30, the boatyard used their 90 metric ton crane to do the swap. When I went to install the new washer, I was a bit annoyed that it was a tiny bit wider and taller than the dimensions that were advertised. It has to fit into a beautiful teak cabinet and it was one-half inch too deep and one-half inch too tall. I broke off a plastic protrusion at the rear and cut a small slat inside the cabinet to deal with the extra width, and then reset the top lid of the teak cabinet so that it just fit. What a difference a paint job makes. The boatyard did a great job. 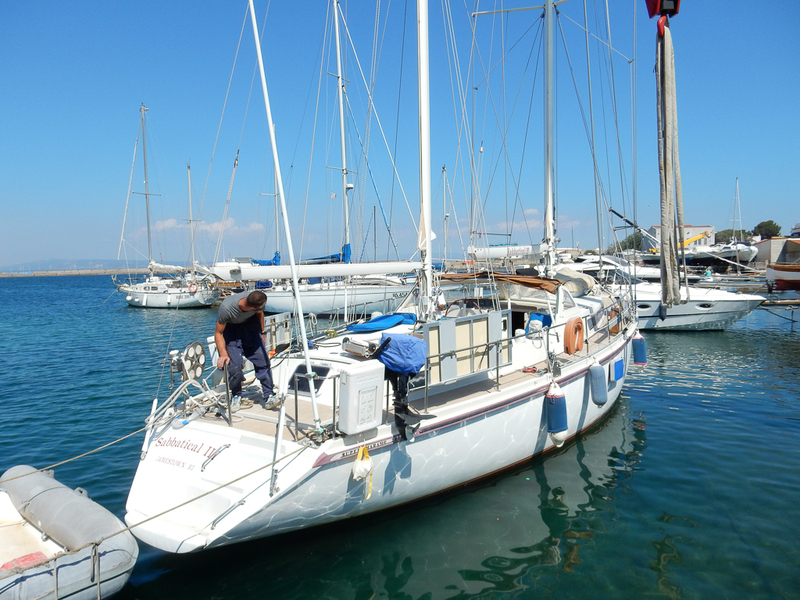 Our friends Hajo and Julia on Serafine were waiting five weeks for their new dinghy to arrive, and we were waiting for our bottom paint job and for some replacement items to arrive from SVB in Germany (a new liferaft, autopilot motor, and assorted other parts). One thing we could not get was propane for our stove. It was impossible to get our American gas bottles refilled. Italy is the first place where this has been an issue. I bought a little two-burner electric cooking top, but that is only good in a marina where there is shore power. 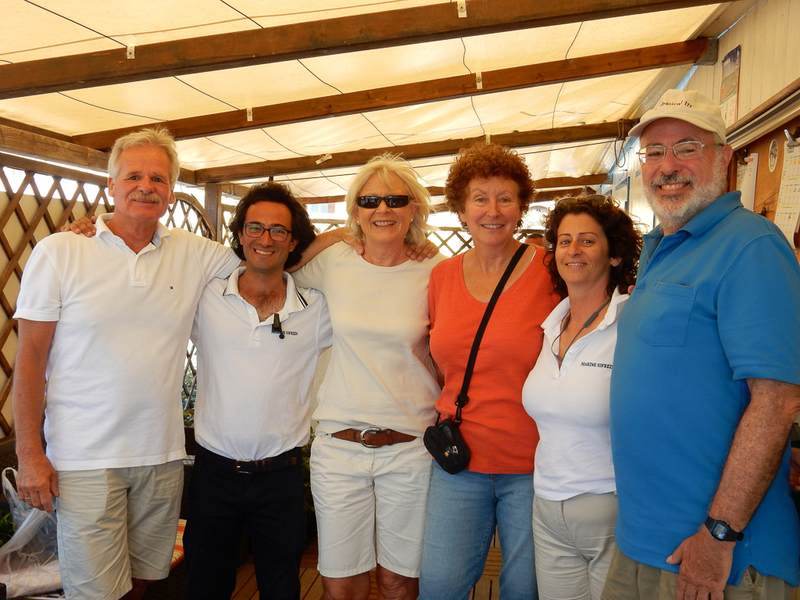 We enjoyed walking around charming Carloforte and dining with Hajo and Julia numerous times. Serafine’s dinghy and our liferaft and autopilot arrived on the same day, and two days later we both left Carloforte for the sailing season. 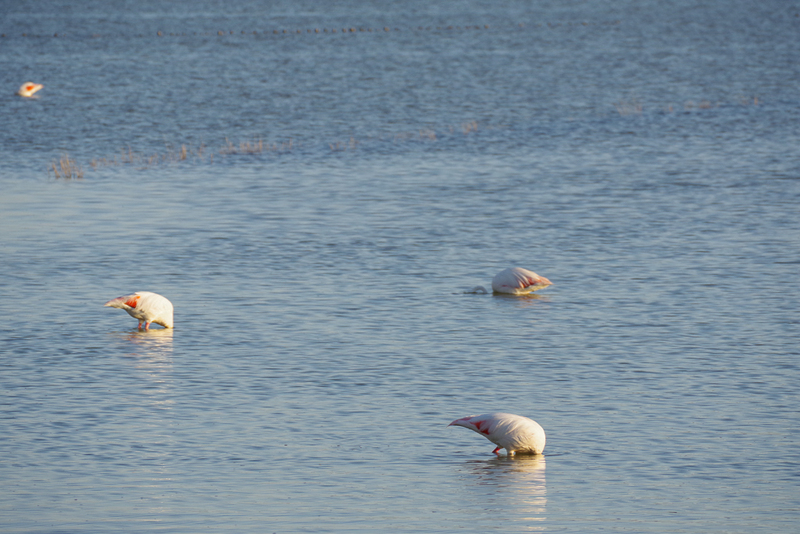 They were heading for Corsica and we for mainland Italy. More on that in the next blog post.